There are 14 posts in this thread, and it has been viewed 13602 times. Aggressors of Dark Kombat - yay or nay? 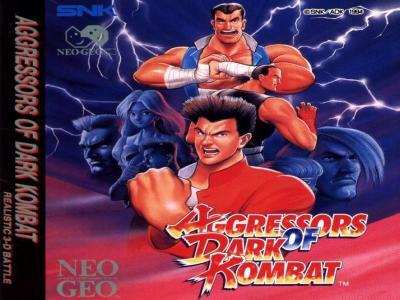 Aggressors of Dark Kombat was created in 1994 initially for the arcade market and Neo-Geo console, then ported a year later to SNK's Neo Geo CD. This game is known in Japan as Tsuukai GANGAN Koushinkyoku (translates from Japanese as Thrilling Intense March), also known as GanGan for the fans (GANGAN is also Japanese onomatopoiea for the sound of a large bell or a scolding voice). The English game title is a pun on the developer's initials (Alpha Denshi Corp.) and also parodies Mortal Kombat, spelling the word combat with K instead of C.
Yup, we have one going on! Good luck! Never played it... looks kinda cool... timeto investigate and look at it on eBay! i played it on emulation briefly and thought it was an absolute stinker. ill give it another run shortly before i vote in the poll though, cat! I think the game does have unique features that make its playing worth some playing. 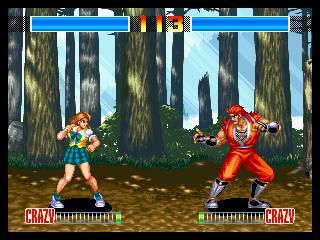 That is very much a game with two crossed genres which is beat em' up and fighting sort of game. 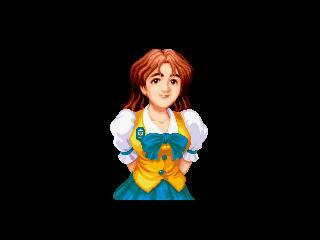 When I first played I was a little surprised Fuuma made an appearance, for a World Hero was not what I was expecting. 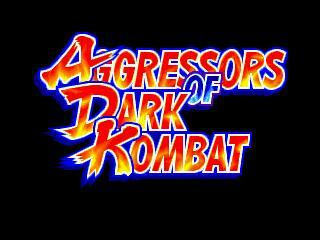 If it were evident to any Neo-Geo player, the title "Aggressors of Dark Kombat" comes from the ADK acronym. If there were still called Alpha Denshi, what then would they call that game? I really like this game. It plays 'ok', nothing groundbreaking BUT I love how it takes a different approach to the usual 1-on-1 affair. 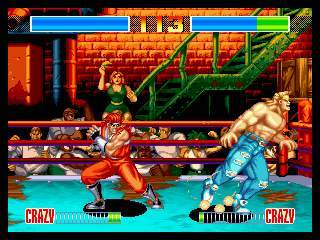 When I first got hold of this game I got horribly addicted to it... so much so, that in the other fighters I played after, I kept trying to press a button to jump instead of up! I like the majority of the characters, but am not keen of the basketball kid... Don't like characters like that... Lucky Glauber (in 98) is ok at a push though I guess?! primitive take on 3D combat really, allowing movement side to side within the ring. It's a cool little game, but I can understand 1st impressions putting PPL off. If you stick with it though, get to grips with the system, how the game plays and the specials per characters etc. then quite a bit of fun can be had with this game. Level designs are alright and I really like the soundtrack and how it varies through the different degradations of the life bar. Good atmosphere, as the music is quite dark at times and upbeat at others. The F1's on now... gotta go! While it is no undiscovered pearl, there is some enjoyment to be found in the game. It's a neat concept that had some problems in execution. A proper sequel would've had alot of potential for greatness. I have tried to like this game but I have to say that its well below average. The graphics are rather nice so no complaints there and the game trys to be something different but fails badly. With time it could grow on me so i will give it another chance as it appears to command a love/hate relationship amongst us. I've never been particularly keen on this game. It's definitely an original idea but I'd rather just play a regular type of fighting game. Also I find the cast a bit uninspiring especially the basketball player. The game does seem very difficult in single player mode too which is frustrating. However I will give it another go and won't cast my vote until then. Perhaps it will grow on me if I give it a chance. I had a hard time myself but I do admit... I am new to all of this. I'd love to hear what other beginners have to say. I've played this a few times. 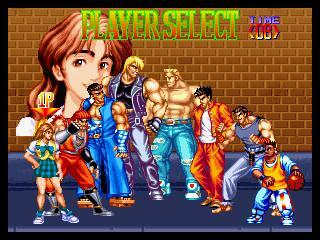 I liked the fact that you could move around like a beat 'em up. The only thing is that the computer is freaking cheap on 1P play. I've never played this game competitively against a human... I really can't imagine it being that fun, but who knows? If anybody ever wants to play 2P VS on Kawaks, fly me a PM. I tried this a few days ago on Kawaks. It's okay, but it seems awful cheap in 1P mode. I only got to the second fight. The dialogue seemed overly cheesy too. you that Lee! The omission of an end boss is pretty damn weird??! I still like the game though... just takes some adjusting to!